friendship and looking on the bright side. 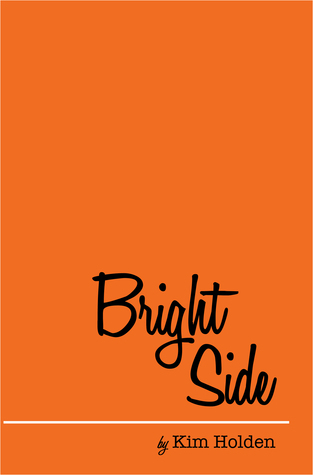 Perhaps the unofficial motto of this book is “Do Epic” and Kim Holden did just that with her debut novel, Bright Side. Epic storytelling. Epic characters. And yes, epic tears by the end. This story, with its bright orange wrapper, packs so many feels. It’s a story about love and loss, about friendship and hope. It’s about a girl that sees the absolute best in life despite having been dealt some of the worst that life has had to offer. Her charm, her zest, her love of living and of those around her is infectious. I fell in love with Kate, or Bright Side as she was appropriately nicknamed. I fell in love with all of the characters really, but most of all between the relationship between two best friends who loved each other deeply… Kate and Gus. Their friendship redefines epic in the most beautiful way. The connection between them was what first drew me into the story, and it was, to me, the constant thread that held everything together. I was so impressed with this book’s ability to make me feel. It simultaneously owned me and destroyed me. There was a sense of honesty in every aspect of the book… from the character’s thoughts to the dialogue, from their quirky personalities to the heavy realities they all have had to face. When Kate Sedgwick moved to Grant, Minnesota, she left behind a life rife with heartache, but to her, a life that was full of happiness, stolen moments and amazing people. You see, Kate saw everything on the bright side. Everything was a wonder, a gift, an opportunity to cease. She also left behind her best friend, Gus. Gus and Kate had been inseparable since there were kids. To me, they were soul mates. They complemented each other in every way, needed each other to fully experience the highs of every wonderful moment. Gus was the lead singer of Rook, a group at the brink of greatness and Kate knew it was his time to make his dreams come true. Kate also pursued her own dreams, studying to be a special education teacher. Experiencing the interaction between Kate and Gus is entirely entrancing. The love they feel truly shines through, raw and honest in a way so distinctive to them. Despite Kate’s addictive outlook on life, she doesn’t believe in love. She’s a person who lives in the present, who is determined to not allow herself to get entangled with anyone else. Until she meets Keller Banks. Immediately, there’s a chemistry that comes alive between them. Kate tries to suppress her intensifying feelings for him, but the more she gets to know him, the more she falls for everything about him. He’s smart, funny, caring, but also a bit of a mystery. The truth is, both Keller and Kate are keeping secrets. The kind of secrets that can change everything. We also begin to see some chapters in Keller’s perspective, and we experience how he fell in love with Kate. He too, tries to stay away for reasons of his own, but he can’t help but love Kate’s personality, her edginess, her kindness and feistiness. The story unwinds in a way that lets you really feel how close Kate becomes to the people around her. How they gravitate to her so naturally. You see new relationships blossom and grow, all through Kate’s one-of-a-kind perspective. 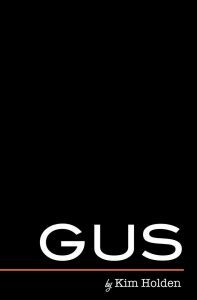 I loved Gus. I loved Keller. I loved every person in this book. Loved how they found each other in more ways than one. How they saved each other. I don’t want to spoil a single moment of this novel, but it’s truly one that even now, refuses to let me go. The writing is fluid, the storytelling is engaging, the characters unforgettable. I laughed. I cried. I smiled. I cried some more. There are just so many emotions on every single page. Don’t be afraid to pick up this book., however… yes, it elicits strong feelings, but that is simply because the book’s characters become real people, their experiences became mine, their pain became my own and I couldn’t help but drown in the emotions that the story evoked. It ends hopeful. Sad. Beautiful. I can’t recommend this book enough.